Craft fairs are a wonderful way to both market and sell your crafts—but some people simply do not have the time or the money to put up a booth at such fairs. More and more entrepreneurs are beginning to sell their items online. 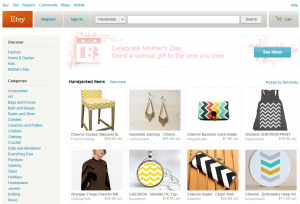 One website very popular among small businesses and hobbyists is Etsy.com. 1) Etsy is a marketplace for all things handmade. Unlike other online marketplaces, you won’t find mobile phones, DVDs or various retail items for sale on this website. 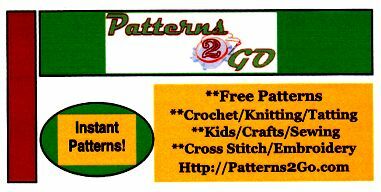 Etsy.com is a website specifically for both buyers and sellers of handmade items, vintage items, and all sorts of craft supplies. 2) You are catering to your target market. There’s no guarantee that you’ll make a sale on Etsy—but you can at least be assured that people who browse Etsy love crafts and all things handmade and vintage just as much as you do. 3) Buying and selling on Etsy is easy. It only takes a few minutes to set up your Etsy shop. You can even choose to customize your online store with your profile and a banner image. Uploading your product descriptions and images are easy and will not take up a lot of time. 4) You are joining a community. By choosing to sell your items on Etsy, you are not creating just another account, but are joining a community, as well. You can ask for feedback or suggestions from other knowledgeable sellers on the Etsy forums, or even collaborate with other people on Etsy whose style or products complement your style or items. Similarly, purchasing items on Etsy is also easy. Prices of items appear in the buyer’s local currency, making shopping convenient, fun and quick. Thousands of people shop on Etsy on a daily basis because it is the go-to online marketplace for all things handmade. If you want to start selling your crafts on the Internet, Etsy is truly the best place to start. The above information is an excerpt from our book “How To Sell Your Handmade Items” – this book is full of information on HOW and WHERE to sell your handmade items! We have some wonderful places to sell your products that I’ll bet you’ve NEVER heard of — and they are some great places to sell! 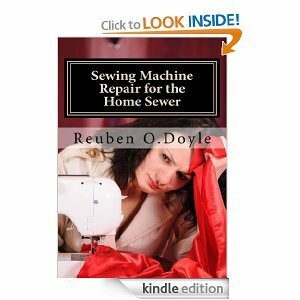 We are super excited to announce that the new Kindle version of our best selling Sewing Machine Repair for the Home Sewer book is now available. Now you can grab this helpful book and take it everywhere with you on your reader or smartphone, or even read it on your computer, for just $19.95 – a lower price than the $24.95 print version! The Gro Project from Miracle-Gro would like to help take you beyond the desktop so you can go from green to green thumb. The weather has turned so pretty lately that I’m more than ready to get out in the yard and get started on some fun garden projects. 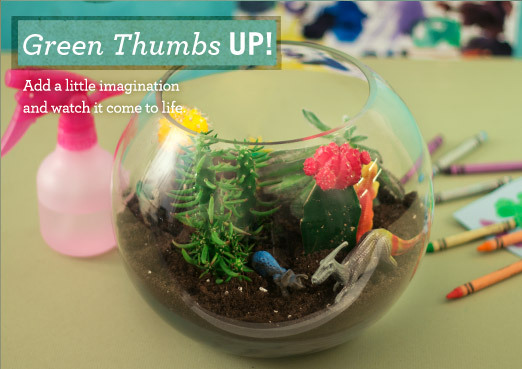 At The Gro Project Facebook page you’ll find all sorts of fun ideas like the Toyrarium shown here, an Origami Garden, Ukulele Garden and lots of others. My five kiddos would have a blast building their own Toyrariums and they’re super simple to put together. 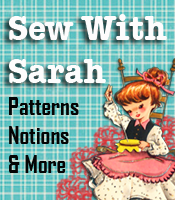 The site even has step-by-step pictures for each project so you can’t go wrong! I’ve got lots of flowering bushes, roses and shrubs around the house and they can be difficult to mow around so I’m also planning to use the Miracle-Gro Shake’n Feed All Purpose Plant Food tohelp prevent weeds and feed the plants. One jug will treat at least 135 square feet and will help prevent weeds from popping up for three months. I’m also a big fan of the Miracle-Gro Moisture Control Potting Mix for both my indoor and outdoor potted plants. Now that the weather has become so nice outside I can’t wait to get out there and make some pretty container gardens for the back patio using this potting mix because it absorbs more water than ordinary potting soil and helps prevent overwatering. I’d love to hear about any gardening projects you’ve got planned! Please let me know about them in the comments below.